A gorgeous selection of cotton and viscose threads in various textures and thicknesses in one skein. Each skein contains 10 different threads measuring 4m (4.37yds) each - 40m (43.68 yards) in total. These threads have all been dyed together and are variegated in colour along their length. 'Two of a Kind' are one of our longest standing products. We have been dyeing these variety threads for 21 years - they currently available in 32 colours. 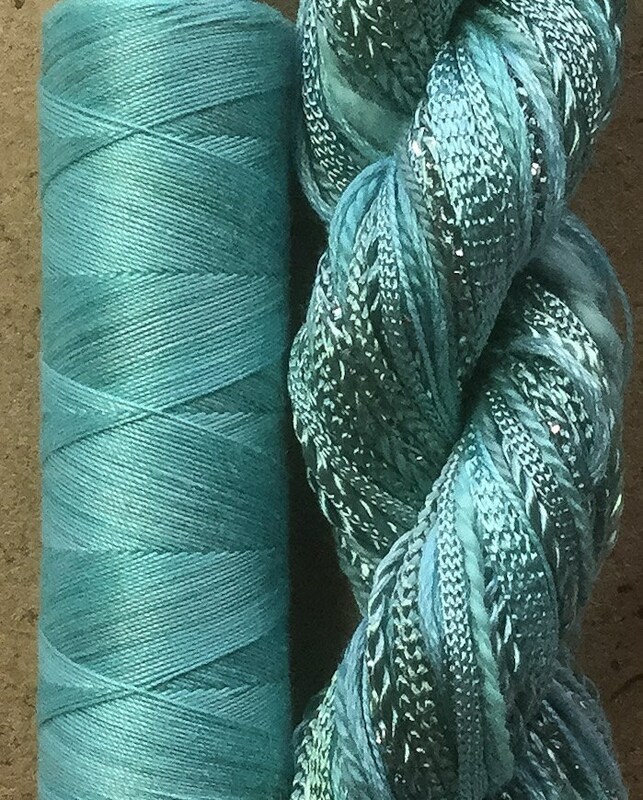 Use these threads for embroidery, particularly canvas work, mixed media, tassels, cord making, braids, scrapbooking, card making, machine embroidery, lacemaking, tatting, machine and hand quilting, etc. etc.